Lowell swing housing on Prescott Street. A transformer — an electrical box that facilitates the transfer of electricity from power plants to households — caught fire atop a utility pole at approximately 8:21 p.m., according to Cambridge Police Department spokesperson Jeremy Warnick. Members of CPD, Cambridge Fire Department, and Eversource responded to the scene of the fire, the cause of which remains unknown, according to Reid Lamberty, manager of media relations in Massachusetts for Eversource. Most of the power outages occurred on Green Street and Putnam Avenue, according to Lamberty. Additionally, Lowell swing housing located at 20-20A and 22-24 Prescott Street also experienced a loss of power. Though residents of Lowell swing housing had their power restored by 11:30 p.m. on Saturday evening, all affected households regained power by 3:30 a.m. Sunday morning, according to Lamberty. Residents are temporarily receiving power through a generator until the company replaces the utility pole. Green Street resident Doug J. Necastro said that he was at home Saturday night with his girlfriend and sister when he heard “two loud bangs” at around 8:20 p.m.
“It sounded like explosions basically and then the lights immediately went out,” he said. Doug Necastro’s sister, Kelly Necastro, said that she was in the shower washing her hair when they lost power. “I could sense with my eyes closed that it got darker and then I was a little afraid to open my eyes and I questioned if I was still alive,” she said. Over on Prescott Street, Lowell swing housing went completely dark. 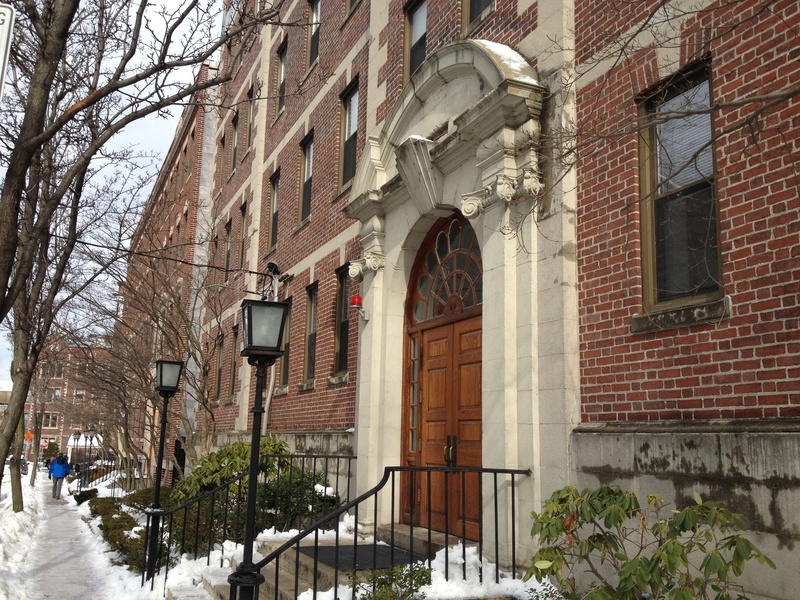 Lowell resident tutor Mahnum Shahzad sent an email to Lowell affiliates Saturday night to inform them of the power outage and offer help to those who may need it. “While facilities is working on getting power back as soon as possible please email me if you have any accessibility concerns,” she wrote. Lucy B. Devine ’20 visited a friend in Lowell swing housing during the power outage. “Everything was beeping, and everything was flashing, and it seriously felt like a horror film. It was so creepy,” she said. Others were in their dorm rooms at the moment the lights went out. Lowell resident Anthony A. Aybar ’20 said he was in his room playing Super Smash Bros. and watching the Golden State Warriors playoff basketball game with his roommates when the power went out. “We were shocked because we thought it would be a moment type of thing. We tried turning on the lights and that didn’t work,” he said. Aybar relocated to the Lowell dining hall where he and friends played a game of Bananagrams as they waited for the power to be restored.